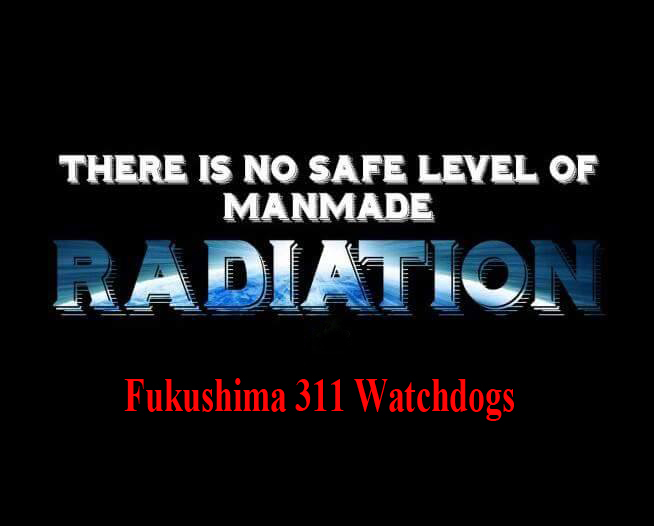 410 consecutive earthquakes since 14 April, including 162 of more than 3.5 magnitute, but the Japanese government keeps two reactors at the Sendai plant in operation …. They have learned nothing from Fukushima. Landslides sever National Route No. 57 in Minami-Aso, Kumamoto Prefecture, on April 16. Aso-ohashi bridge also collapsed. The number of earthquakes that could be felt by people reached 410 by 10 a.m. on April 17 following the start of seismic activity in Kumamoto Prefecture on April 14, the Japan Meteorological Agency said. Quakes with magnitudes of 3.5 or larger accounted for 162 of the total by 8:30 a.m. on April 17, the largest among inland and coastal earthquakes since 1995. The previous high was set after the Chuetsu Earthquake in Niigata Prefecture in 2004. “After the magnitude-7.3 earthquake that struck at 1:25 a.m. on April 16, the number of earthquakes increased sharply,” said Gen Aoki, director of the agency’s earthquake and tsunami monitoring division. He urged people in the affected areas to remain alert amid the ongoing aftershocks. The government on April 16 said there is no need to shut down two nuclear reactors in Kagoshima Prefecture, citing relatively low seismic movements around the nuclear plant. Cabinet ministers met on April 16 to respond to the Kyushu earthquakes and discuss what to do with the No. 1 and No. 2 reactors of the Sendai nuclear power plant located in Satsuma-Sendai, Kagoshima Prefecture. Environment Minister Tamayo Marukawa, who serves concurrently as state minister for nuclear emergency preparedness, mentioned the stricter safety standards implemented by the Nuclear Regulation Authority on nuclear power plant operations. Under the NRA’s standards, adopted after the Fukushima nuclear disaster in 2011, 620 gal is the maximum seismic acceleration allowed for reactors to continue running. Marukawa said the maximum shaking recorded on the Sendai plant grounds was 12.6 gal. “The NRA has judged there is no need to stop the Sendai plant,” she said. The two reactors are the only ones currently operating in Japan. The series of earthquakes that began in Kumamoto Prefecture on April 14 have spread eastward to Oita Prefecture. Kagoshima Prefecture lies at the southern end of Kyushu. “Under the current circumstances, there is no need to stop the plant because (the shaking) is sufficiently low,” Chief Cabinet Secretary Yoshihide Suga said after the April 16 meeting. The Japanese Communist Party on April 16 called on the government to shut down the Sendai plant as a preventive measure because the quake activity was spreading through Kyushu. The party said major problems would arise in evacuations if a nuclear accident arose at the Sendai plant because quake damage has rendered the Shinkansen bullet train line and expressways unusable. The earthquake that struck Kumamoto Prefecture early Saturday had a magnitude of 7.3, the same as the Great Hanshin Earthquake in 1995, in which more than 6,400 people died or remain missing. The Saturday quake had more than 10 times the energy of the magnitude-6.5 earthquake that occurred Thursday evening, which caused strong shaking in limited areas. On Saturday, violent tremors measuring as high as upper 6 on the Japanese intensity scale of 7 were felt over a wide area. Experts said the earthquake occurred as multiple faults moved in conjunction with each other, and warned that earthquakes will continue over a wide area. According to the Japan Meteorological Agency, this is the first magnitude-7 class earthquake with a shallow focus since a magnitude-7 quake in the Hamadori area in Fukushima Prefecture, that is believed to have been an aftershock of the Great East Japan Earthquake in 2011. In the Kyushu region it was the first of that size and type in 11 years, since the magnitude-7 earthquake with its focus in the Genkainada sea in western Fukuoka Prefecture in 2005. According to the agency’s analysis, Saturday’s quake was a “strike-slip” type, in which the fault involved moved horizontally due to its being pulled to the northwest and southeast. Thursday’s quake and the 1995 Hanshin earthquake involved the same “strike-slip” mechanism. Yuji Yagi, an associate professor of geodynamics at University of Tsukuba, analyzed the seismic waves from the Saturday quake and said the fault appeared to have moved over an area about 50 kilometers long and 20 kilometers wide. The underground destruction stretched northeast from the quake’s focus and continued for about 20 seconds. The focus of Saturday’s quake was located on the northern side of the Futagawa fault zone, which cuts east to west across Kumamoto Prefecture and is at least about 64 kilometers long in its entirety. The government’s Earthquake Research Committee had deemed there to be “an almost zero to 0.9 percent chance” of a magnitude-7 earthquake occurring in the northeast part of the Futagawa fault zone within 30 years. The Hinagu fault zone lies to the south of the focus of Saturday’s quake, stretching at least about 81 kilometers. Part of the Hinagu fault zone is believed to have moved in the Thursday earthquake. Yasuhiro Suzuki, a professor of tectonic geomorphology at Nagoya University, said part of the Futagawa fault zone moved in the Saturday morning earthquake. “It’s appropriate to think of the Hinagu and Futagawa fault zones as connected active faults. The earthquake on Saturday occurred in conjunction with the quakes that have happened from Thursday on, so it appears that part of a very large fault moved,” Suzuki said. According to Takeshi Matsushima, an associate professor at Kyushu University of solid-state geophysics, the ground in the Kyushu region is subject to forces that pull it north-south. This creates the Beppu-Shimabara rift zone, in which the ground is subsided from Oita to Kumamoto. It contains the Hinagu and Futagawa fault zones, as well as the Beppu-Haneyama fault zone. Seismic activity has intensified from the southwest to the northeast of the rift zone. Seismologists fear that the series of earthquakes rattling Kyushu could trigger temblors in other active faults in the southwestern island, which extend eastward into central Japan. A number of active faults dot the so-called Beppu-Shimabara Rift, which traverses Kyushu island from east to west, extending to the Median Tectonic Line. This is the nation’s longest tectonic line, and it spans about 1,000 kilometers from the Kanto Plain through Gunma, Nagano, Wakayama, and Tokushima prefectures to Kyushu island in southern Japan. He explained that when an earthquake occurs, other faults around it are exerted to different pressure, which could trigger other quakes. That view was echoed by Kazuro Hirahara, a Kyoto University professor of seismology and head of the Coordinating Committee for Earthquake Prediction. “The epicenter of the earthquake in Oita Prefecture, (which occurred early on April 16) is about 100 kilometers from that of the Kumamoto quakes, and therefore it is hard to think that the quake was an aftershock,” he said, adding that there was a possibility the Beppu-Haneyama fault zone in the prefecture may have been stimulated. Shinji Toda, a Tohoku University professor of earthquake geology, pointed out that the seismic activity could also move southward.